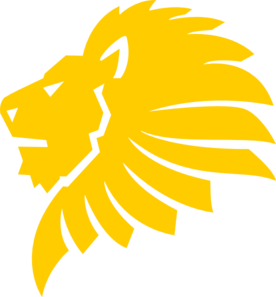 The discipline of Golden Lion is a practice passed between war leaders, chieftains, generals, and militia leaders over the generations, meant to bring a group of warriors together into one cohesive unit. The practices are believed to have been founded in the deep, wild, and untamed plains where plainsmen watched the fighting techniques of the tawny furred lionesses and the role of the alpha male lion. Golden Lion is a discipline that only greatly benefits a warrior who believes strongly in teamwork. The larger the group, the more who can benefit from the skilled leadership of a dedicated commander. Golden Lion aids its practitioners by aiding his allies primarily instead. Tactical Strike: - Make a successful attack, grant nearby ally the ability to move up to 10ft. Encouraging Roar: - Until next turn, all allies gain a +2 morale bonus to all attacks and damage. Demoralizing Roar: - Any target struck by you in melee is shaken for 1 round. Pride Leader's Stance: (Stance) - Initiator and allies within 20-ft gain a +4 morale bonus to saves vs fear and demoralization effects. Call to Action: - Melee attack inflicts an additional 2d6 points of damage, grant adjacent ally an immediate move action. Defending the Pride: - Grant all allies within 60-ft a bonus to +2 to AC for one round. Pyrite Strike: - Strike inflicts an additional 1d6 points of damage and moves an opponent 5-ft in a direction of your choosing. Warning Roar: - Make an opposing Diplomacy check to negate an enemy's attack on a nearby ally. Kill the Wounded: - Target of this strike takes an additional 2d6 points of damage on attacks made upon him by allies. Circling the Prey: - Grant all allies within 60-ft a free 5-ft step. Golden Lion's Stance: (Stance) - All allies within 60-ft of your position may gain flanking if they are adjacent to an ally when engaged in melee. Golden Swipe: - Melee attack inflicts an additional 6d6 points of damage and moves the opponent 10-ft in a direction of your choosing. Charge of the Battle Cat: – Make a charge attack which does not provoke attacks of opportunity. If successful, then the charge inflicts an additional 4d6 points of damage and has a chance to knock target prone. Direct the Pride: – Target adjacent ally who has not acted this turn, move his initiative directly after yours for this turn, the following turn he returns to his former initiative. Roar of Battle: – Make a melee attack that inflicts an additional 6d6 points of damage, all other allies that attack the target inflict an additional 3d6 points of damage on successful attacks. Strategic Blow: Make a successful melee attack on a target, strike inflicts 8d6 points of additional damage and grants an ally within 10ft of the adept a move action. Eternal Discipline of the Pack: - Grant all allies within 30ft one feat that you possess for three rounds. Harry the Prey: – Make a successful melee attack, all allies within 30ft may make an immediate attack against any foe they are capable of attacking. Golden General's Attitude: (Stance) – Grant a morale bonus to all allies within 60ft, +1 for every 6/initiator levels. Endurance of the Strong: – When an ally within 30ft is struck in combat and injured, the adept may make an immediate shout of inspiration to restore some of the ally's flagging strength, restoring twice the adept's initiator level in hit points. Golden General's Victory: – Upon felling a foe, all allies within 60ft are healed a number of hit points equal to the adept's initiator level. War Lion's Charge: -Make a charge attack against a foe which does not provoke attacks of opportunity, if successful the attack inflicts an additional 14d6 points of damage and potentially stuns the opponent for one round. Orichalcum Swipe: - Melee attack inflicts an additional 12d6 points of damage, target makes up to a full move in a direction of your choosing. Lion Lord's Agony: – Strike inflicts additional damage equal to the hit point damage the adept has received. Triumphant Lion's Leadership: (Stance) – Initiator and allies within 10ft of the adept, gain +1d6 points of damage for every foe that the adept has defeated during the encounter (max +5d6). Alpha's Roar: – The adept releases an awesome call and grants a +4 moral bonus to all allies' saving throws for the round and increases the DC's of allies abilities by 4. Lord of the Pridelands: - You grant your allies gain +1 to hit and damage per ally (max +20), and +4 to AC and saves to each ally within 60-ft for one round. Any commander knows that in battle, footwork is key. By utilizing this theory, the Golden Lion adept helps his comrades to understand this. The adept makes a melee attack against a foe; if successful any ally he designates within 10ft of his position may make a free 10ft movement without provoking attacks of opportunity. The adept lets out shouts of encouragement to bolster his allies in battle. All allies within 30ft of the Golden Lion adept gain a +2 morale bonus to hit and damage for one round. With a shout of rage and defiance, the Golden Lion adept wades into battle with fearless determination, shattering the resolve of his foes. As a swift action the character’s attacks become filled with the dread of defeat, causing foes to be shaken for one round (Will save DC 11 + relevant initiator attribute negates). By adopting the mannerisms of commanding lions of the great savannahs, the adept inspires heroics by his presence. By adopting this stance, the initiator and all allies within 20ft of his position gain a +4 morale bonus to saves vs fear effects and demoralization effects. With a mighty blow, the adept aids an ally by providing an opening in combat to move by an opponent. The character makes a successful melee attack, inflicting an additional 2d6 points of damage and granting an adjacent ally an immediate move action. With a cry to defend themselves from incoming attacks, the inspirational words of the adept aid his allies in their defense. As a swift action, the character grants all allies within 60ft a +2 morale bonus to their AC for one round. With a powerful strike, the Golden Lion adept pushes his foe into the waiting arms of his allies and their hungry blades. The character makes a successful melee attack, inflicting an additional 1d6 points of damage and forcing his foe to make a 5ft movement from the square he is currently occupying. This movement provokes attacks of opportunity to those capable of making them against the target. Witnessing a clear and present danger to an ally, the adept shouts out a well-timed warning and aids his ally in defending against an attack. The character makes an Intimidate check opposing an opponent’s attack roll made on an ally, if successful then the attack is negated. The Golden Lion adept makes a ferocious assault on his foe, opening the enemy’s defenses to the attacks of his allies. The character makes a successful melee attack against a foe and subsequent attacks made by the character’s allies inflict an additional 2d6 points of damage per successful attack. With practiced precision and a quick shout, the adept and his allies move in unison for better strategic advantage. The character’s shout grants himself and his allies a free 5ft step that must be taken when this maneuver is used. Through the use of the Golden Lion adept’s superior tactical ability, he is able to direct his allies in combat for maximum effectiveness. As long as his allies within 60ft of him can clearly hear his shouts and understand his language, he grants his allies the ability to gain flanking with allies that adjacent to them while fighting in melee against the same opponent. With a series of furious blows again his foe, the Golden Lion adept batters his opponent into the waiting blades of his allies. The character makes a successful melee attack, inflicting an additional 6d6 points of damage and forcing his foe to make a 10ft movement from the square he is currently occupying in a direction of his choosing. This movement provokes attacks of opportunity to those capable of making them against the target. Like the charge of the mighty lion as he takes his prey to the ground, the Golden Lion adept charges into battle, heedless of his enemies, to crash into his chosen foe with a mighty strike, knocking him to the ground at his feet. The character makes a successful charge attack, inflicting an additional 4d6 points of damage. Additionally, the foe must make a Reflex save (DC equal to 14 + initiator level) or be knocked prone from the strike. Cooperation and teamwork form the backbone of tactical warfare, and through his knowledge of all of these things, the Golden Lion adept may help direct the actions of his ally to greater effectiveness. As a swift action, the character targets an adjacent ally who has not yet acted this turn. That character may now act immediately following the Golden Lion adept’s action as if his initiative result was one lower than the adept. The following round, the target of this boost returns to his previous initiative result. The Golden Lion adept delivers a telling blow, shattering bones and defenses alike as he presses the foe into opening vital places for his allies to gain purchase. The character makes a successful melee attack inflicting an additional 6d6 points of damage. Allies who attack the target of this maneuver inflict an additional 3d6 points of damage on successful attacks for one round. With a tremendous strike, the adept confuses the enemy and creates an opening for an ally to reposition himself. The character makes a successful melee attack inflicting an additional 8d6 points of damage; additionally an ally within 10ft of the character that he chooses may make a move action immediately. Through training with his allies, the adept has taught them the basics of his military skill that they may call upon in times of duress. As a swift action, the character may grant one of his combat feats to any of his allies within 30ft for 3 rounds. No character can benefit from this ability more than once at a time. Through coordinated tactics, the comrades at a Golden Lion adept’s side may act as one. The character makes a successful melee attack against a foe, and all allies within 30ft may make an immediate attack against any one foe that they threaten at their full attack bonus. A true Golden Lion adept is a beacon of command on the field of battle, inspiring his troops by his mere presence. All allies within 60ft of the character gain a +1 morale bonus to attack and damage rolls, and to saves vs fear and demoralization effects per six initiator levels. Allies falling in combat weakens the core of the unit, so when an ally is injured, it is up to the commanding presence of the Golden Lion adept to bolster his fallen comrades. When an ally is struck in combat and injured and within 30ft of the character, he may shout words of inspiration and encouragement to restore some fortitude to his ally. The target of this counter immediately has twice the adept’s initiator level in hit points restored to his total. The power and majesty of the lion lords of the wild lives within the adept, so much so that his victories are a victory for all of his allies. Whenever the character reduces a foe to 0 hit points or below, his allies are bolstered and their hearts are rededicated to victory. Allies within 60ft of the character have a number of hit points equal to the adept’s initiator level restored. With the ferocity of an angered lion, the Golden Lion adept races across the battlefield ignoring secondary targets to bear down on a single enemy and reduce him to dust. The character makes a successful charge attack against a foe (which does not provoke attacks of opportunity) and this attack inflicts an additional 14d6 points of damage. The foe must also make a Fortitude save (DC 17 + 1/2 initiator level) or be stunned for one round. A Golden Lion adept shapes the very nature of war, and this technique allows him to direct his foes through his allies’ blades as easily as a knife through bread. With a mighty cry and a tremendously potent attack, the adept ruins his foe. The character makes a successful melee attack inflicting an additional 12d6 points of damage, and forces the foe to make a full move action in the direction of the character’s choosing which provokes attacks of opportunity. With a fury born of desperation and determination for victory, the Golden Lion adept pours his pain into his swings so that the enemy may drink deeply of it. The character makes a successful melee attack, and in lieu of the weapon’s damage the attack instead inflicts a number of points of damage equal to the character’s maximum hit points minus his current hit points (example, if the adept has 200 maximum hit points and has been wounded down to 54 remaining hit points, this attack inflicts 146 points of damage). A beacon of victory upon the field of combat, the adept personifies glory in combat and those in his presence may share in his prowess. The character an any allies within 10ft of the adept gains an additional +1d6 points of damage per attack per foe that the character has slain (maximum of five slain foes for +5d6 bonus damage) while this stance is in effect. With an awesome cry for victory and bravery from his allies, the Golden Lion adept bolsters the defenses and attacks for a moment as his allies cannot help themselves but to win. Allies within 30ft of the adept gain a +4 morale bonus to their savings throws an increase to the DC’s of their abilities for one round. Proving he is the undisputed master of war, the Golden Lion master calls for absolute and crushing victory through overwhelming force of numbers. For every ally within the 60ft range of this maneuver, these allies gains a +1 morale bonus to hit and damage per ally (not to exceed their hit dice, maximum of +20), and a +4 morale bonus AC and saving throws for one round.